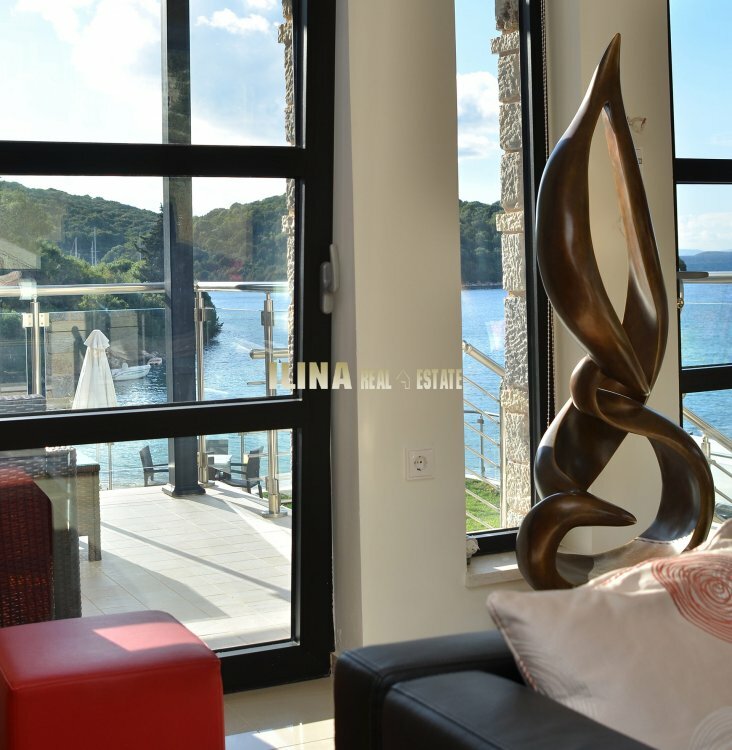 Ilina Real Estate :: Beach front villa for rent in Sivota 110 sq. 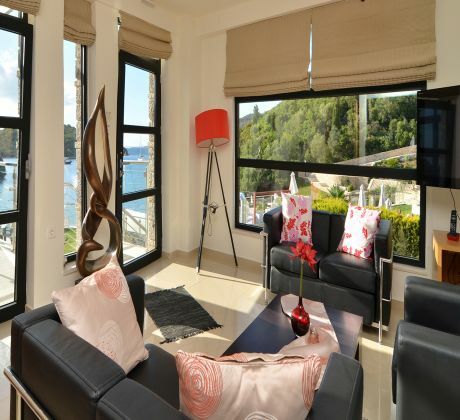 m.
ID: BMG00033-E Beach front villa for rent in Sivota 110 sq. 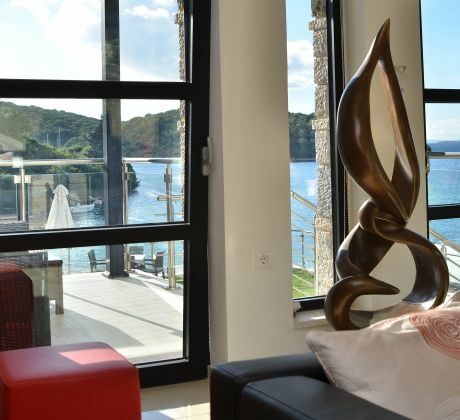 m.
This Luxurious Beach Villa in Sivota is fully air-conditioned. The kitchen is fully equipped with all the utensils you may need. 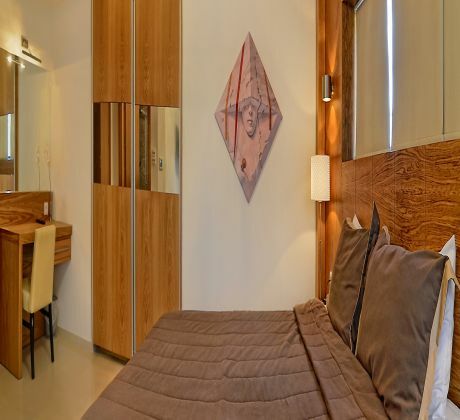 Both of the 2 bedrooms have double beds. 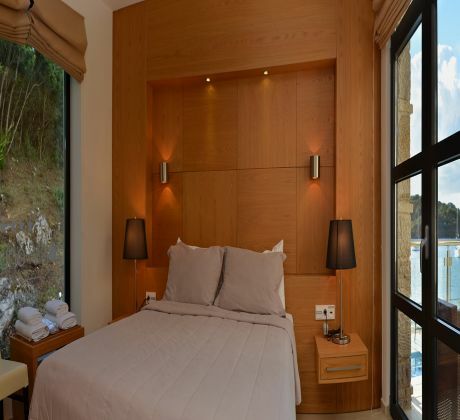 In each bedroom there is unique decoration, Satellite TV and Balcony. 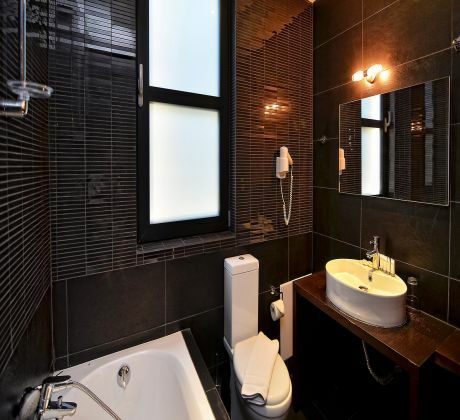 The villa has 2 Bathrooms (1 ensuite) with all the necessary amenities. 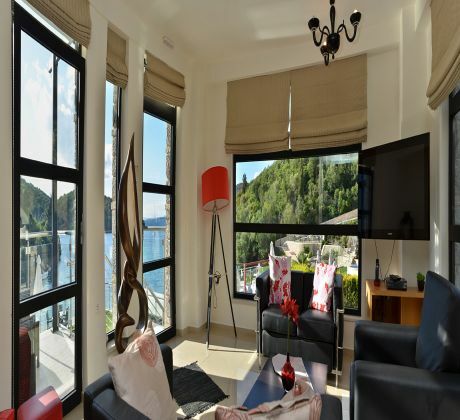 There are 2 living rooms-one with home cinema ( next to the Spa-Jacuzzi ) and DVD player . 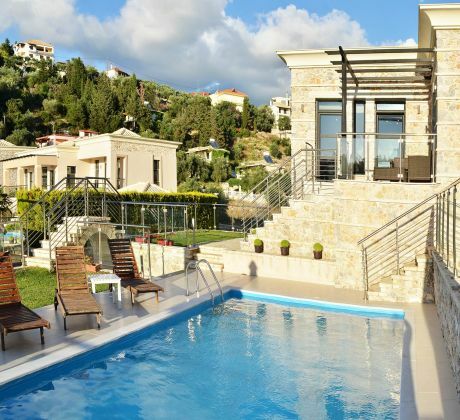 Direct phone line, a safe, of course complimentary wireless internet access and the steam room completes the variety of the indoor facilities of this Superb Private Villa in Sivota. As you open the main door to go outside except from the beach which is really in front of your eyes you will find private parking, outdoor swimming pool and Barbeque.It is the ideal solution for holidays in Greece for a family or two couples.